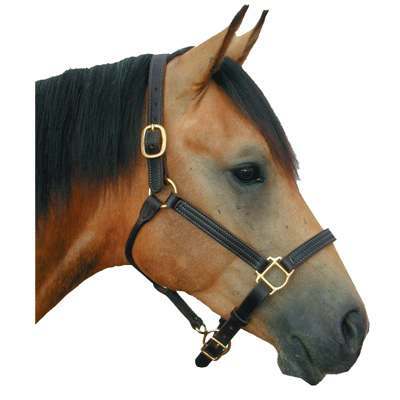 This leather horse halter is a 3/4'' halter with solid brass hardware and crown buckles on each side. It is made from the finest leather available and will provide maximum comfort for your horse. The deluxe leather halter is triple stitched with a rolled throat and adjustable chin strap. Here at Horse Tack Now we only offer the finest Equestrian products available.